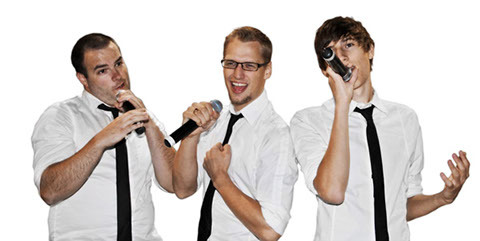 Since 1998, HOJA has energized and entertained over 3,000 audiences nationwide with their unique style of acappella-comedy and their ability to tailor their show to appeal to different audience ages and tastes. 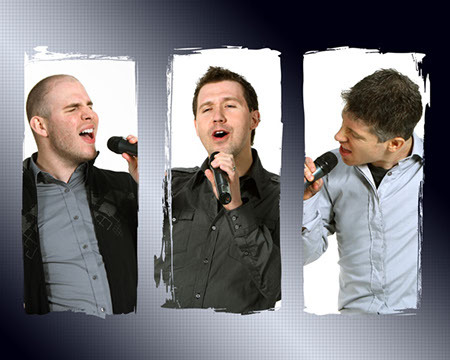 From doo-wop to rock, disco to country, no music genre is safe from Canada’s acappella heroes. 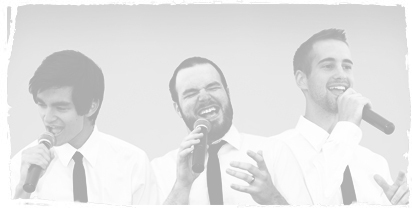 HOJA’s wonderful harmonies, funny stage banter, great audience interaction, favorite songs to sing along with, fun & energy ensure your guests have an experience they’ll never forget. 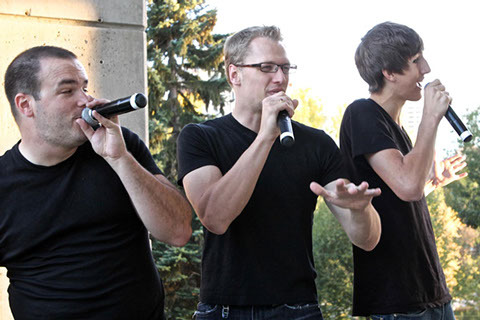 Based out of Calgary, AB, HOJA is a professional, auditioned group managed by Fat Cat Productions. 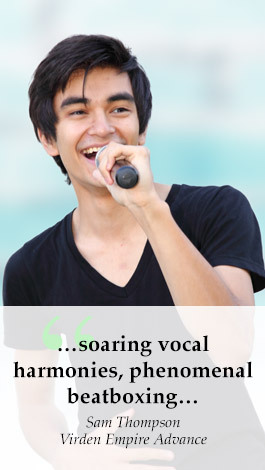 31 talented young performers have been members of the group over the past 17 years. 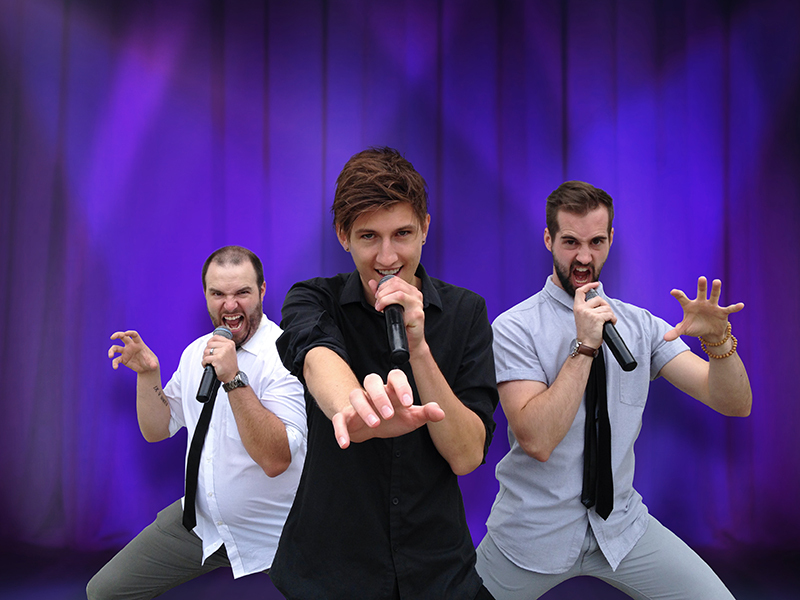 Whether you’re looking for a fun stage show to energize and entertain your guests or background music while they are arriving & socializing, HOJA can help make your event the best it’s ever been by performing familiar, well-loved songs in their unique acappella style. The repertoire & performance is tailored to the ages in attendance, whether a wide range like 20–65, mostly thirty-somethings, or even an all ages family event. 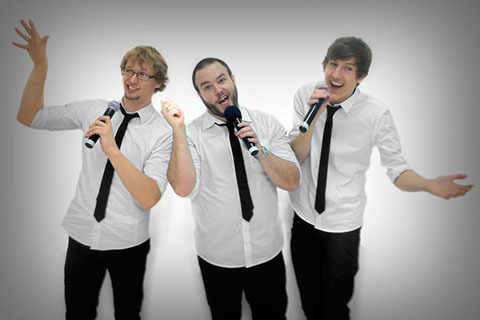 HOJA is the perfect choice if you have a wide age range as few other entertainers can appeal to such a variety of tastes. 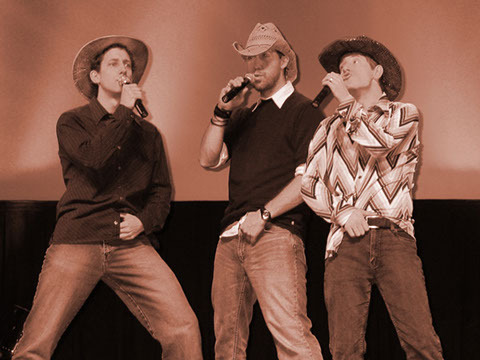 Modern Acappella — including beat-boxing & imitating instruments. 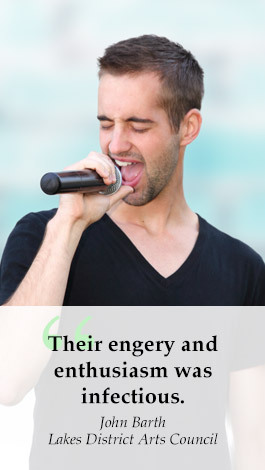 Many people cannot believe the full band sound created by just three singers using only their voices, and they even demonstrate to your guests how to do a few of the sounds for themselves. The group has a lot of experience with different events and can perform an easy-on-the-ears, more traditional show to keep things low-key or a livelier show if you’re hoping to really energize your guests. Many events have a variety of ages attending, and HOJA is the perfect entertainment choice for these by offering a little something for everyone. Since the songs are done in a unique vocal style, audience members often find themselves enjoying styles of music they don’t usually listen to. Where possible, we try to give back to the community while we are in town for your event by donating a free performance to a community group such as a local hospital or seniors home whose residents may not usually have a chance to experience professional entertainment. HOJA’s standard fee is $3000+GST. Certain types of community shows qualify for a reduced rate of $2000+GST, please call us to discuss. HOJA finds that a 60 minute show works well for most events, if you feel you need a longer show please call us to discuss this. Contact Us to discuss booking HOJA for your event. "People say that the entertainment you book either makes or breaks your party/gathering, and HOJA absolutely made our event. They played a wide variety of songs that appealed to all, and the high energy and camaraderie that these three guys have is incredible!" "The group arrived on time and were a real joy to work with; they are truly some of the nicest young men I have ever had the privilege of meeting. The performance was absolutely wonderful and completely enjoyed by every age group. I have the highest regard for the talent and the caring manner displayed by the members of HOJA." "With such a diverse audience it can be difficult to please all in attendance, but HOJA had everyone in the audience engaged. They were a pleasure to work with, and they went out of their way to ensure the crowd they were entertaining would enjoy what they had to offer." 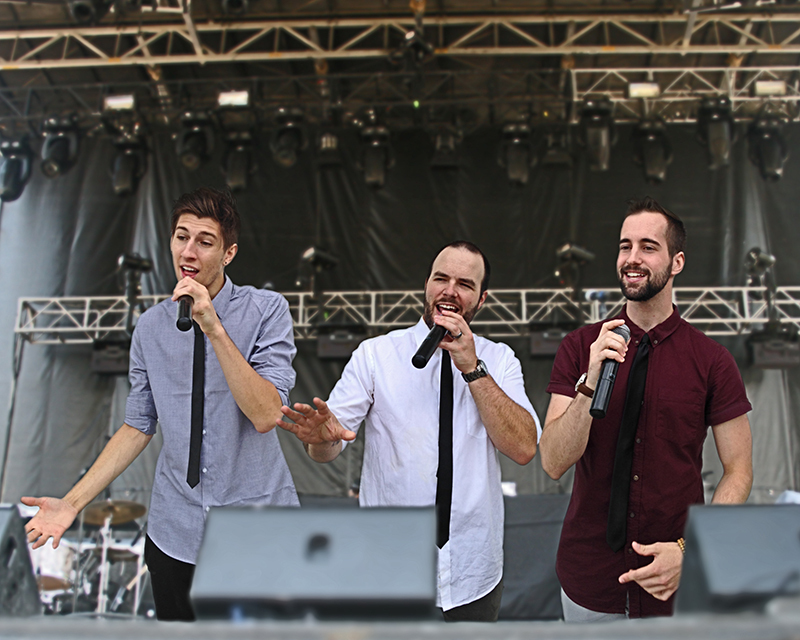 "HOJA hit the stage singing and dancing, and had the audience captivated in the first 30 seconds of the show. Their energy and enthusiasm was infectious! 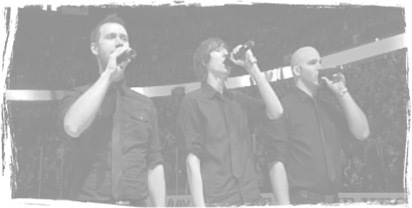 The guys were a delight to work with before, during, and after the concert." 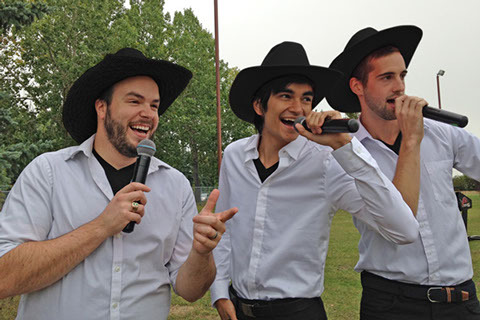 "The song choice was perfect & their ability to get the crowd to interact was very effective. Their high energy and showmanship are outstanding. HOJA is a must to see, to hear & to experience." 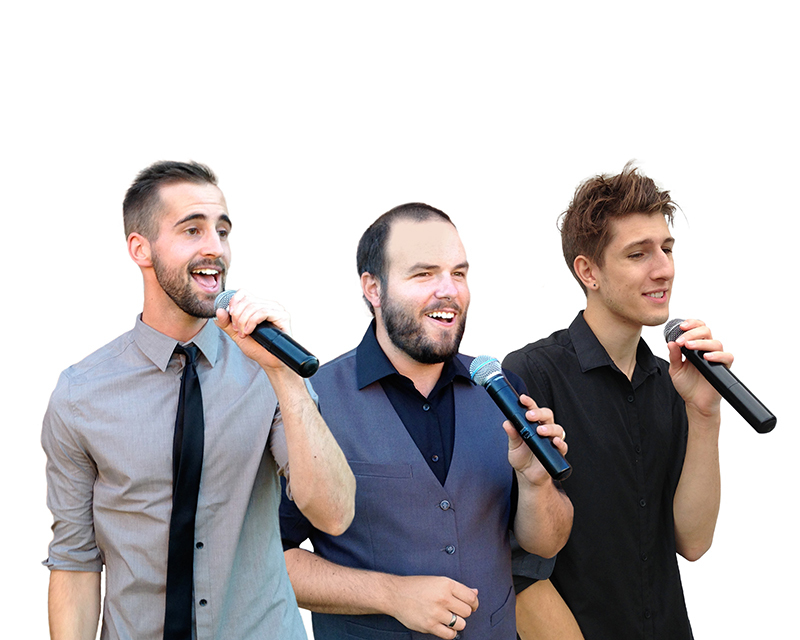 "HOJA not only puts forward a top notch, fun-filled, entertaining show every time they perform, but they are also one of the best acts to work with off-stage."